If you’ve ever experienced that comforting moment of sinking into an armchair after a long day with a big mug of Ceylon tea, just imagine sharing the scene with vibrant greenery, colonial architecture and lots of exotic wildlife. 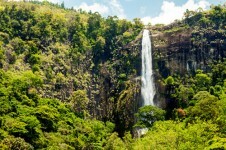 Sri Lanka is diverse with discoveries to be made with the emphasis of nature. Whether visiting the British heritage tea plantations, elephant orphanage, hiking through the mountains or going on a wildlife safari, swimming in the gorgeous Sri lanka beach destinations, there’s always something to do and somewhere new to explore. Immerse yourself in the country’s unspoilt wilderness at national parks such as Yala, where you can see a huge variety of wild life, including Sri Lankan Elephants and leopards. To soak up the rich culture there’s prime areas such as the cultural triangle, where Kandy is host to the Temple of the Tooth Relic of Lord Buddha. 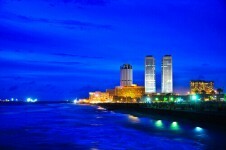 Colombo City is a colourful, bustling blur of shops, temples, delicious aromas, and multi-cultural magnificence. Markets selling authentic Sri Lankan foods scatter the streets while the Sri Lanka heritage shapes the city’s character through temples, churches, mosques and monuments. The Jami-Ul-Alfar Mosque in particular is rather incredible looking through its unique patterned appearance. The Cultural Triangle houses three ancient capitals: Anuradhapura, Polonnaruwa and Kandy. It is a part of the world that could almost be a painting it’s so picturesque, and the fact that it has 7 UNESCO World Heritage sites and ruins also confirms its natural beauty. Some sites here include rock fortresses, the Dambulla temple caves, elephants at Minneriya and the famous Temple of the Tooth Relic. The rich green of the rolling hills are host to some tea plantations, which visitors can visit and get involved with, making it easy to see how this is the heart of Sri Lanka’s cultural heritage. 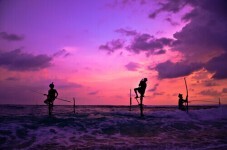 The East Coast of Sri Lanka emanates a traditional spirit. Much of the environment around here remains calm and unspoilt, with sandy beaches and shallow lagoons. 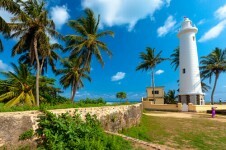 Trincomalee remains relatively undisturbed, with serene bays and an iconic sea port. Sri Lanka occupies around 25,000 square miles of exploration enticing land that is embroidered with intoxicating waterfalls, rainforests, tropical beaches, wild life and agricultural prosperity. The ambience is warm and welcoming, with a current of hospitality that flows from both the locals and the nature, which bountifully produces such delights as coconut, rubber, rice and the famous Ceylon tea! The scenery is enchanting, with something colourful and beautiful always catching your eye. The historical monuments that include such fascinations as Buddhist temples are one of the countries main defining features, emphasising its unique culture and how the spirituality of ancestors and traditions characterise modern day life. Distractions are in abundance in Sri Lanka, with a diverse environment that combines contrasts like the excited hustle and bustle of commercial centres such as Sri Lanka’s largest city of Colombo with the elephants, crocodiles and leopards that roam national parks in popular wild life spots such as Yala. The cities of Sigiriya, Anuradhapura and Polonnaruwa are a haven for ancient archaeological sites, perfect for wonder filled adventurous types who want to animate the countries past! Scenery is a blend of history and spectacle with the addition of the masked devil dances and famous Kandyan dances. In particular, the Esala Perahera (festival of the tooth) is an elaborate festival that takes place every year in Kandy. The show of magnificent costumes provides a truly enlightening experience! The accompaniment of palm tree embellished coastal stretches, water sport fuelled seas of places like Unawatuna and cool aired rolling green hills that are scattered with tea plantations provide the island with many sources of escapism. 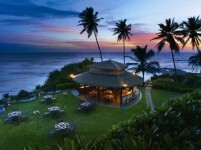 Sri Lanka’s undisturbed surroundings in quieter parts of the country create an inspiring atmosphere of natural mysticism. Each region has its own unique personality, so that you can find both excitement and relaxation. Marco Polo apparently considered Sri Lanka to be the finest island of its size in the entire world. It is the ideal place for curing those with wanderlust, with such a unique and textured spirit that you’ll never experience anywhere else quite like it. When in Sri Lanka you will see the reminiscent of the British Empire, the old steam railways, horse riding clubs, cricket. But the sheer presence of the beautiful scenery in Sri Lanka surpasses even this. The amazing island will welcome you the moment you enter, with the natural and welcoming smile of the local people. Visit the Sri Lankan tea factories where the great Ceylon tea originates form, and have your perfect cuppa brewed for you. Go safari for a day, and see wild roaming elephants, and Leopold’s. Visit the Pinawala elephant orphanage and see the baby elephants bathe in the river, visit the many Buddhist temples, climb the great kingdom of Sigiriya, or just laze on the beach for a week. The diversity of Sri Lanka holidays are amazing. Direct Traveller offers a fully comprehensive programme of tailor-made private escorted tours, and beach holidays here. Fly to Sri Lanka from a reasonable 10.5 hour direct flight from the UK. All Direct Traveller holidays include our professional representatives at hand. All tours are private for that extra personal touch. Choose from our range of itineraries for you to enjoy. Depart on any chosen dates, with no minimum numbers, as of our Sri Lanka tours are private. That’s just you and your personal professional guide/driver.